Let’s begin at the beginnings. Because long before the Mary Kate and Ashley Olsen fashion empire existed, they started out in the tv series Full House. From then on they starred in more series and movies that especially gained them popularity among teenage girls. Their first step into e-commerce was already at a young age, collaborating with large retailer Wal-mart on a clothing line for girls ages four to fourteen. All long before they became the amazing style icons they are now. Mary-Kate and Ashley have created a highly admirable fashion empire that has risen far beyond building their success as child stars. 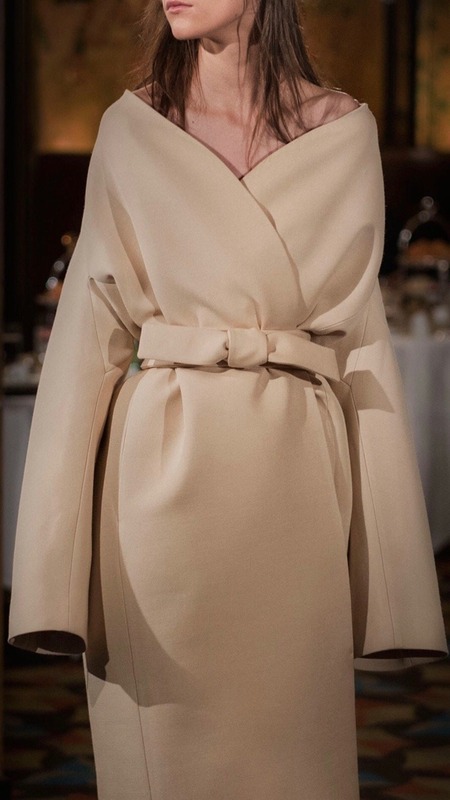 Their fashion house The Row overflows with subtleness, class, and elegance. Before we dive into the personal vision that lies at the core of The Row, let’s look at the way they have approached their business in a strategical and ethical way. The Row Supports high-end manufacturing in the United States. Mary-Kate and Ashley Olsen made this decision deliberately even though it would have been easy and obvious to produce in a country with low production costs. In the first three years, the girls didn’t give an interview about the Row. Their personal style clearly shines through all their outfits and collections for The Row. Classy, authentic and renewing: Let’s call it Granny-Chic. Mary-Kate and Ashley Olsen are known for avoiding the spotlight as much as they can. They have mentioned multiple times that they enjoy the creative process of fashion but don’t like being the center of attention. But to make their dreams come true they have to do this part of the job as well. How refreshing in a time where everyone is going out of their way to overshare on social media and seem to scream ‘here I am, look at me’. The Olsen sisters let the quality of their work speak for itself and keep their personal life as private as possible. That is how you create class, personality, and authenticity. Qualities that are becoming more and more scarce in an age where people seem to mostly succeed with digital oversharing. When Ash and I are at a premiere and they’re taking photos of us, she squeezes my hand 3 times to say ‘I love you’ and I squeeze her hand back 4 times to say ‘I love you too! 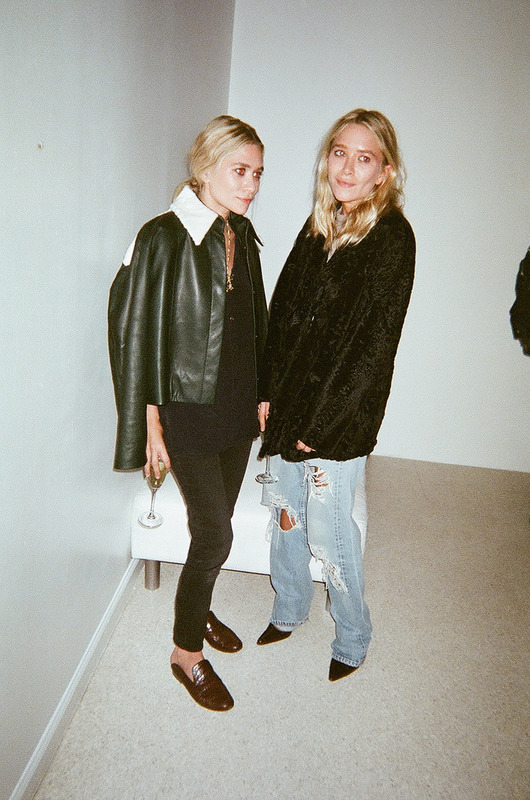 The Row is established by Mary-Kate and Ashley Olsen in 2006, named after Savile Row. A street in London’s neighborhood Mayfair, known for it’s tailoring and also internationally named ‘the golden mile of tailoring’. 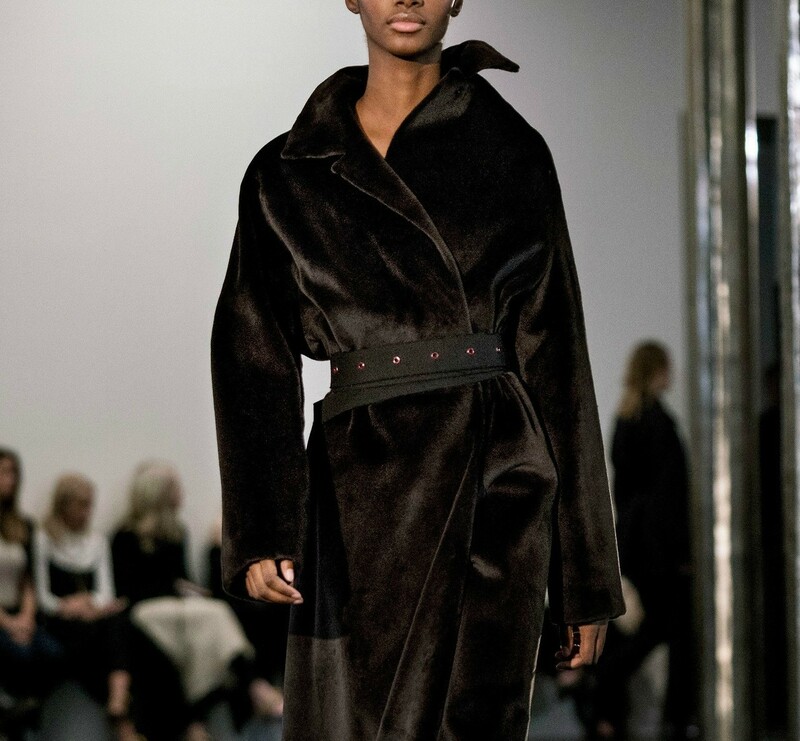 The Row is born out of a love for quality, detail, and craftsmanship. 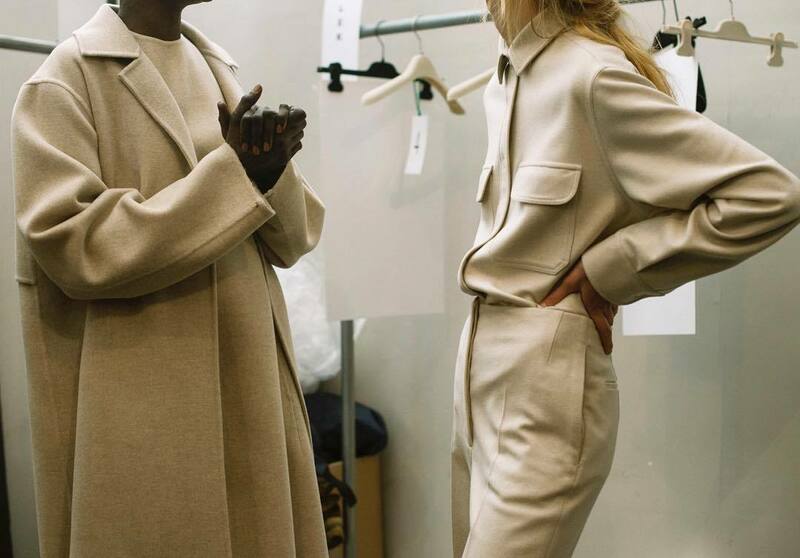 The Row is born out of Mary-Kate and Ashley Olsen’s personal style and love for refined, wearable, minimal luxury. They value quality above all, something that radiates through all images of them and their collection. If Mary-Kate and Ashley are involved in the styling or creation of fashion, you know it is going to be infused with their vision. The leading elements in their collections, and what they value in fashion items, are fabric and shape. They understand form really well, which is the connection between fashion and architecture. The same reason that some fashion designers studied architecture: it is also a form of design. 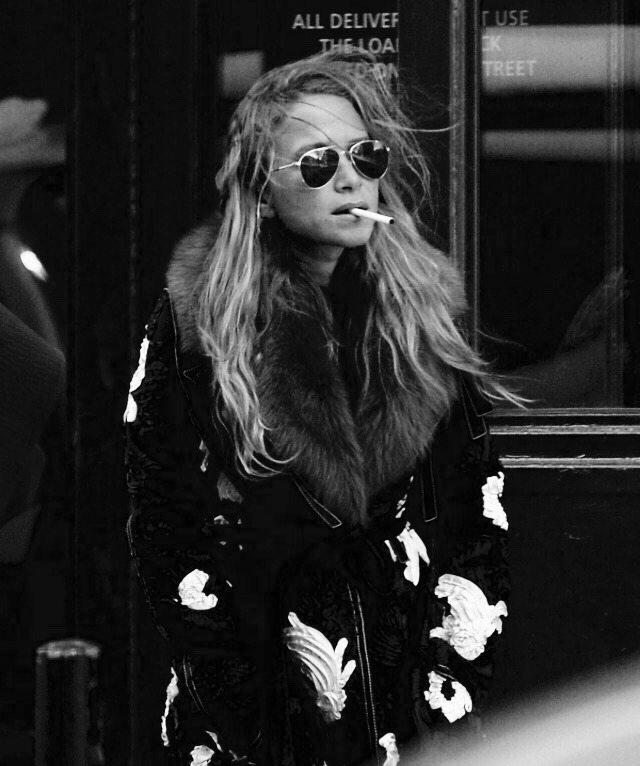 If Kate Moss was heroin chic in the nineties, Mary-Kate and Ashley Olsen’s personal style can definitely be named granny chic. They were far beyond their time when they started to layer oversized clothes with even more oversized designer bags and huge sunglasses. This was years and years ago, and now the granny chic style has been picked up by other designers who share the same kind of rebellious design spirit as the Olsen twins. Does Gucci ring a bell, anyone? The fashion house had enormous success under the scepter of creative director Alessandro Michele. His personal vision reinvented Gucci and made nerd the new cool with the help of big layers of granny style clothes and square sunglasses. I guess the point I am trying to make is: being rebellious and true to your own vision works. And the vision of Gucci’s Alessandro Michele and Mary-Kate and Ashley Olsen shows some similarities in authenticity. The driving factor behind the success of The Row is all built upon their personal style. By looking at Mary-Kate and Ashley Olsen’s best looks, it is clear they love minimal, modern looks with strong silhouettes and rich fabrics. You will see them play with fabrics and textures instead of bold prints and colors. And they are definitely not impressed by fast coming and going trends. Which is also their strong point, because the one who doesn’t follow trends, is often the one who makes them. Timeless, authentic and elegant. Those are the words to decribe their style and vision. The way The Olsen twins have made their personal vision and style their strongest asset is a true vote for authenticity. For doing it differently. It shows that you don’t have to do it the way everybody else is doing it. You don’t have to overshare by posting your entire life on Instagram. Neither do you have to follow every trend. Because to be honest, isn’t that kind of boring and uncreative? 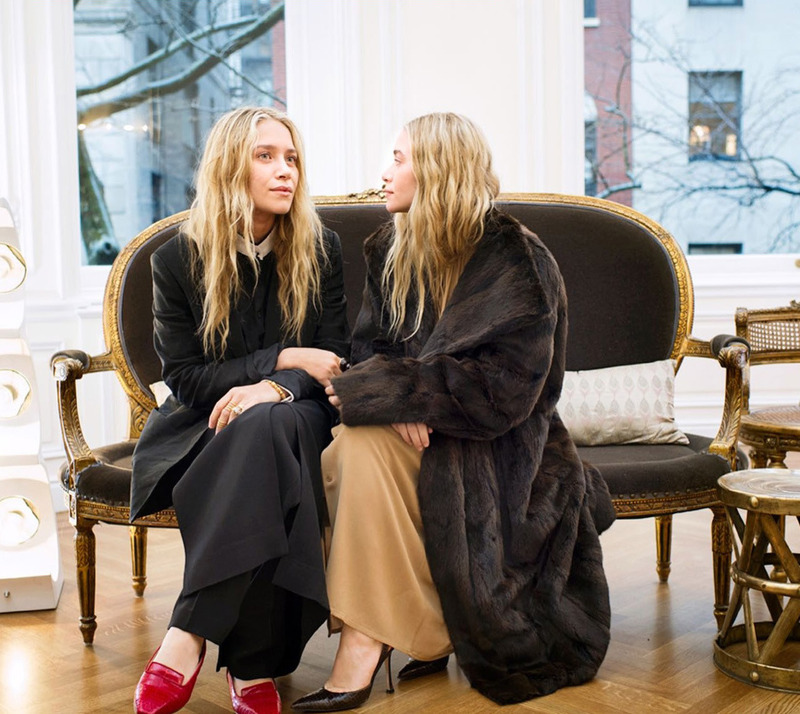 Instead, The Olsen sisters built an empire by sticking to what felt natural to them. And by doing that, you always work from your strongest asset. No worries about being sidetracked by other peoples opinions and pressure. This is how to stay in your magic. That magic brought The Olsen twins and the world a lot. It brought an example of two girls growing up into successful businesswomen. Of course it brought a unique one of a kind style that is all about staying close to your strong points, your taste and your personal expression. This makes their decision to produce in the US all the more logical. Because that is who they are, it is part of their identity. By producing in the US instead of a low-income country, it makes way for other labels to follow their lead. It shows things can be different. Just as different as their granny chic style is.